Transpromotional marketing, aka transpromo marketing, takes transactional statements, such as invoices, bills, benefits, and other business notifications, to the next level by incorporating supplementary marketing messages, often from third parties. Since quality data drives transactional statements, the sender can add personalized marketing messages that resonate with each recipient as an individual, to motivate him or her to respond. Transpromo statements are a huge opportunity for marketers and print providers to engage with and encourage action because transactional statements are ‘trusted documents’ and reflect an ‘opt-in’ relationship; the customer wants to receive the communication, and the majority of these documents are opened and read. Its advantages are not merely related to the impactful messaging. Adding transpromo marketing messages to the transactional statement transforms it from a cost center to a profit center; the sender can generate direct profits from its obligatory communications. 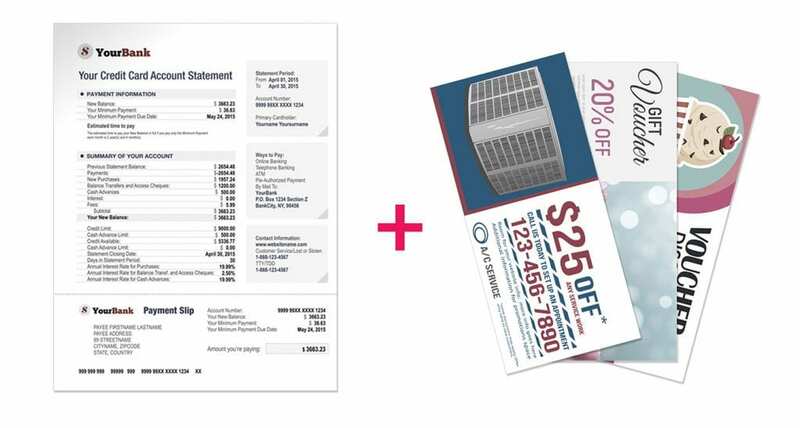 Originally, transpromo marketing referred to those generic marketing pieces that were stuffed into the same envelopes as the transactional statements. The application evolved when marketers began to integrate their offers onto the actual transactional statement itself; piggybacking on the importance of the information these documents contained. 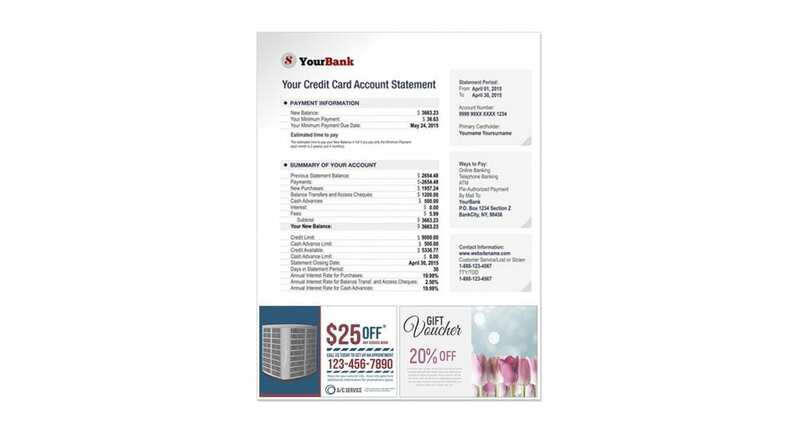 But, this campaign type is still print-only, and as such has many drawbacks, not least because of their limited marketing value as a siloed solution and because more and more people select to receive such statements as a PDF via email. It is also difficult to measure campaign conversions, and impossible to see campaign results in real-time. Any print coupons must be clipped and stored for future use, though they are easily misplaced. There is also often a narrow print area available which limits the ‘sell’ space, and once the statement is printed the marketer can’t change the offers due to inventory or competitiveness. Instead, to make more impact, transpromo messages can be added as action-triggers leading the customer to a digital touchpoint for the next stage of a cohesive and memorable customer experience. 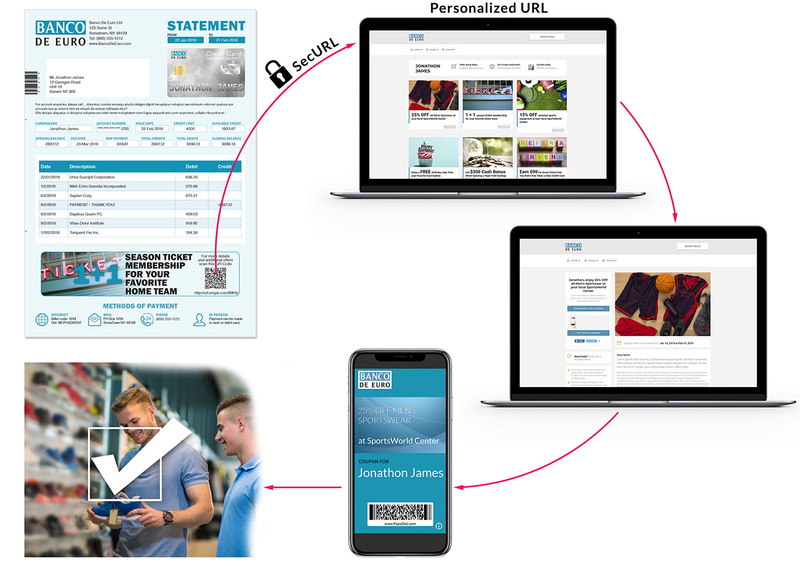 To create transpromo cross media campaigns, you need an omnichannel variable data software program like XMPie PersonalEffect TransMedia which, in addition to creating the print pdf, can also create the follow-on digital touchpoints. By driving the creative content with real-time data, PersonalEffect TransMedia software helps companies generate profit with their transactional statements and helps marketers create campaign variables and special offers for targeted audiences to improve their ROI. Transpromo statement space can either be filled directly by the brand sending the statement. Or alternatively, the brand can sell advertising space to a third-party who can target the brand’s database for its own marketing purposes. In this scenario the brand does not need to expose any customer data or buying habits, its responsibility is to ensure that the correct third party adverts are displayed to the suitable recipients. For example, Banco de Euro wants to include personalized coupons on its transactional statement. These offers are personalized and customized to predetermined different customer segments. 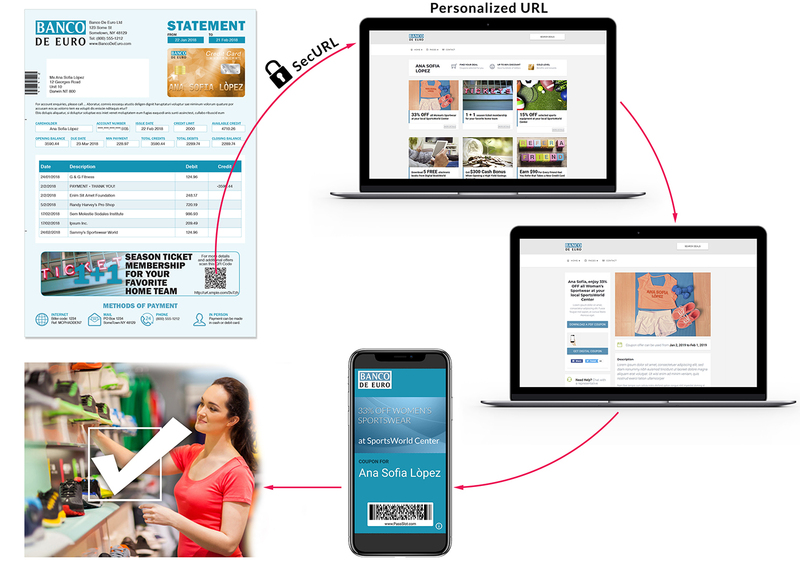 As you can see from the diagram, one of its customers, Ana Sofia, selected to explore and redeem her offer for 25% off women’s sportswear at SportsWorld Center. Another customer, Jonathan, was also offered a selection of offers including a similar personalized offer of 25% off men’s sportswear and since the bank knew it was Jonathan’s birthday, it also offered him a free birthday cake coupon! Turning a traditional one-way document into a bi-directional communication between the brand/customer to foster a relevant, ongoing and timely customer experience. The elements of the transpromo campaign are trackable and measurable so understanding what’s working – and what’s not – is easy to uncover and can be tweaked in real-time as needed. Real-time alerts can be sent to brands behind promotions to keep a close eye on performance. There is no longer a limit to the size of the advert since the customer can be driven online to enjoy an immersive, personalized experience via PURLs or QR codes within the transpromo statement. Even rich media like static or personalized video can be used. Boost brand value and awareness along with customer loyalty. Online offers can change based on the inventory or other consideration even after the document has been produced or printed. It helps organizations to monetize their customer lists while protecting privacy at all times and complying with GDPR because the data doesn’t need to be shared with the third party. Brands can also push transpromo offers to a mobile wallet so that they can be easily saved and redeemed. For marketers, TPXM is an effective way to capture leads and new business because the ads will only be delivered to ‘qualified’ customers based on past behavior or purchases. This gives TPXM a higher level of personalization compared to other data-driven advertising platforms such as Google Adwords or Facebook Ads. 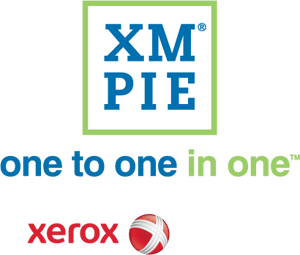 With Transpromo Cross Media from XMPie, transpromo marketing has evolved significantly from its print-only origins. Now marketers can deliver more value with data-driven marketing teasers on must-read transactional statements, delivered as part of an integrated marketing campaign to maximize the customer experience. To find out how to tap into the potential of transpromo and get a demo of the Banco de Euro transpromo application described above, get in touch using the form below.